Good apartment close to beach, secure parking. Very private and quiet holiday which was just what we wanted. 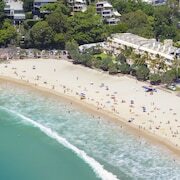 Visiting Noosa Heads and looking for somewhere to crash? You'll find a sweet hotel room on lastminute.com.au. If our deals were on a dating app, you'd be swiping right on every one of them! You don't have to stay anywhere else but in the thick of the action. There's an impressive 61 hotels within 2 kilometres of the city centre just waiting for you to get your hands on. 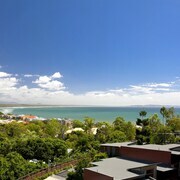 Alleviate your sense of FOMO and check out the digs at the Fairshore Noosa and the Netanya Noosa. Both hotels are right in central Noosa Heads. 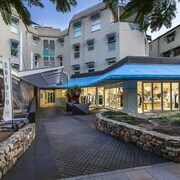 You could also have a gander at the Maison Noosa Beachfront Resort and the Sofitel Noosa Pacific Resort. The neighbourhood of Hastings Street is 0.7 kilometres from the centre of Noosa Heads, and has 15 accommodation options. 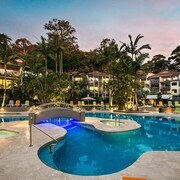 You'll want to have a look at the latest deals at the Bella Casa Noosa and The Sebel Noosa. Call into Ed Webb Park and admire this leafy green oasis, right in the heart of the city. The Rise Noosa and Peppers Noosa Resort and Villas should be at the top of your accomodation hit list if you're looking to stay close by. Bring all your mates on an energetic walk through nature at Noosa National Park. Fortunately, Saks on Hastings and Noosa Springs Golf Resort & Spa are nearby, so you can swing by and see it whenever you like! Unfortunately, there are only a small selection of cheap hotels for travellers on a shoestring. 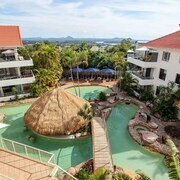 Of these, Nomads Noosa Backpackers Hostel is up there with the best. 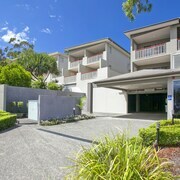 You may also like to stay at the Eumarella Shores Noosa Lake Retreat, which can be found 6 kilometres away. Or you might like The Retreat Beach Houses, just a distance of 8 kilometres from Noosa Heads. We'd also suggest the Aqua Vista Resort and The Sebel Twin Waters. The first is 30 kilometres from downtown, while the latter is 25 kilometres away. Verrierdale is another place where you can sit back and get to know the room service menu. 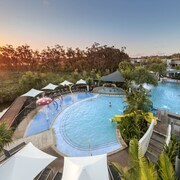 Located 13 kilometres southwest of Noosa Heads, it's where you'll find the Peregian Golf Course and Aqua Fun Park. If you're keen to stay in Verrierdale, consider the Noosa Edge Nudist Retreat and Kingfishers Manor @ Noosa. Or, you could consider staying in Lake Macdonald, 15 kilometres to the west of Noosa Heads, where you'll find the Alaya Verde and Cooroy Luxury Motel Apartments Noosa. Whether you're just passing through or staying in Lake Macdonald, set aside a little time to check out the Tewantin Noosa Golf Club and the Noosa Botanic Gardens. Ever spent a night on the hard airport floor cos you got too excited and didn't make a hotel booking? Save yourself the backache and see if you can score a room at the Santorini Twin Waters or the Ramada Marcoola Beach. They're not far from Sunshine Coast Airport, which is 25 kilometres from the centre of town.